The eagle eyed modeler may have noticed in the new Airfix B-25C/D Mitchell that the “Desert Warrior” markings option lists a crew member as Pilot Officer Anthony Arthur Martin (RCAF). Why is there a RCAF crew member in a USAAF Mitchell? 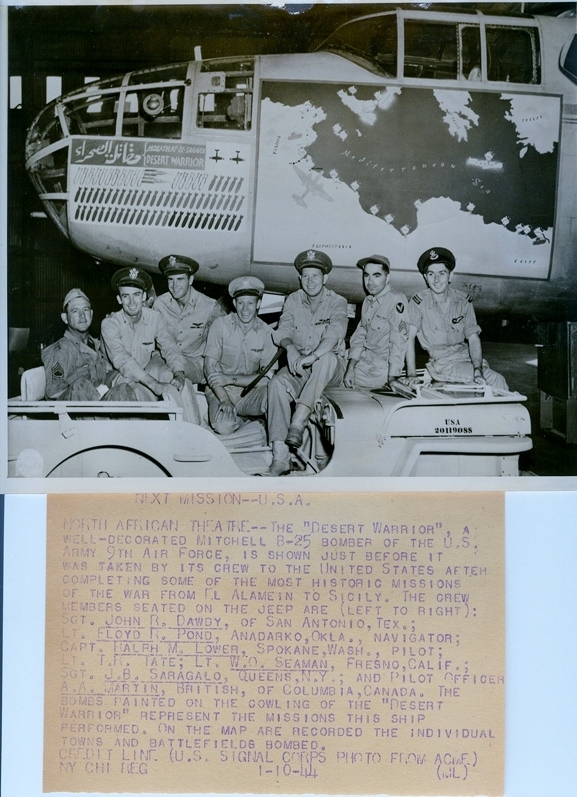 In 1942, after Churchill and FDR’s Second Washington Conference, the 12th Bomb Group was transferred from the U.S. to North Africa and attached to the newly formed 9th Air Force. The 12th BG was tasked with assisting the British Eighth Army in their battle with Rommel's Afrika Korps. As the unit was inexperienced, it was decided to transfer 23 RCAF wireless air gunners to the unit to assist learning British radio procedures and to prevent friendly fire incidents. 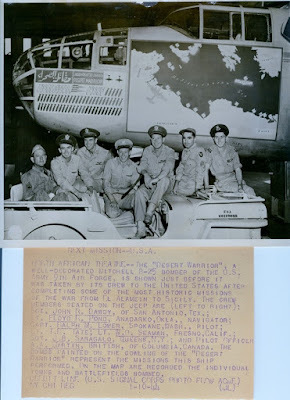 The Canadians served at two bases - Devesior in the 81st and 82nd Bombardment Squadron and at Ismalia with the 83rd and 434th B.S. Four of the RCAF WAGs were killed during their year with the 12th BG, and two, Alan James Mackie and Anthony Arthur Martin were awarded the U.S. Distinguished Flying Cross. F/O Anthony Arthur Martin, from Squamish, British Columbia, was also awarded the American Air Medal and Six Oak Leaf Clusters for his ops with the Earthquakers. It is assumed that when “Desert Warrior” returned to the United States for a bond tour, that F/O Martin was selected to join the tour due to him being the highest awarded RCAF WAG in the group.